Leather Cords 2.5mm (two and half mm) round, metallic color - green. Leather Cords 4.0mm (four mm) round, regular color - dark brown. Sterling Silver .925 Brushed Beads, size: 45x27x11mm, weight: 14.52 grams. 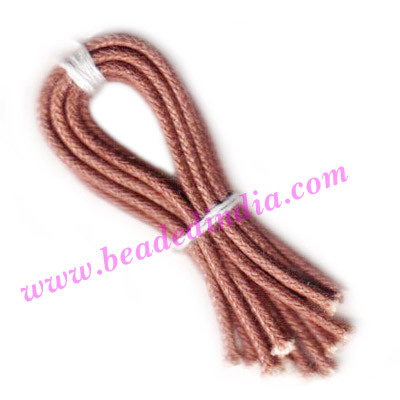 Leather Cords 0.5mm (half mm) round, regular color - red. Copper Metal Beads, size: 17x8x7mm, weight: 0.95 grams.